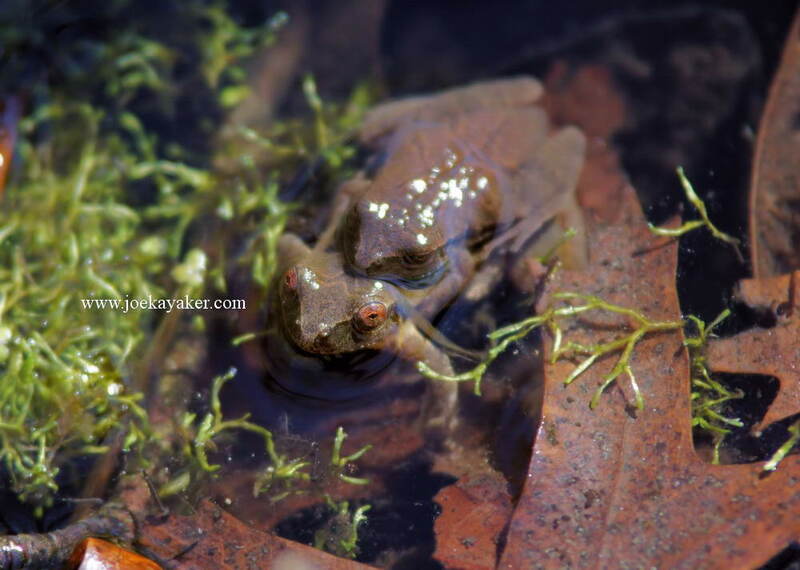 Spring Peepers are one of the harbingers of Spring. In fact, that’s where the first part of their name comes from. The Peeper part comes from the sound that the males make to attract females. Their high pitched “Peeps!” can be heard from quite a distance. We’re talking miles here. 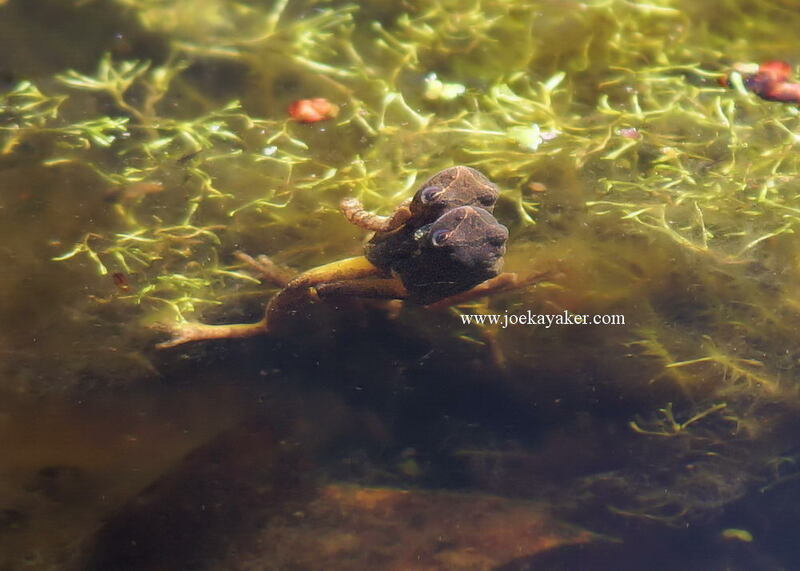 The males, who call from the edges of ponds and lakes, create their calls by inflating and deflating vocal sacs that are beneath their throats. Last week, while walking through one of my favorite places, I stopped off at a freshwater pond in the middle of the woods. I could hear Spring Peepers everywhere. Their calls were coming from the far side of the pond as well as my side of the water. I could hear them to my left as well as my right. I could even hear some behind me, but try as I might, I could not locate a single Spring Peeper. They were all around me but I just couldn’t find any. I decided to sit by the edge of the pond and just wait to see what might come my way. Sometimes, that’s what Nature Photography is: just waiting and watching. And listening, of course. I did a lot of listening that day. I spent over two hours by the pond listening and looking for those tiny frogs that I just could not find. I really, really wanted to get a shot of a male with its vocal sac inflated and calling. I had absolutely no luck.